Aromatic culinary herbs not only add intensity and flavour to a dish, it also has medicinal properties that specifically heal your intestinal tract. You may find dried or fresh herbs in your recipes. Where dried varieties are more intensely flavoured and therefore, used in smaller amounts. You can even grow fresh ones in your patio or on your kitchen windowsill. Potent and refreshing in taste, this Mediterranean herb is packed with antioxidants that protect at a cellular level. Basil also has antibacterial and anti-inflammatory properties and contains heart-healthy nutrients beta-carotene and magnesium. How to use Basil? Use it in soups, smoothies, salads, tomato dishes and pesto. 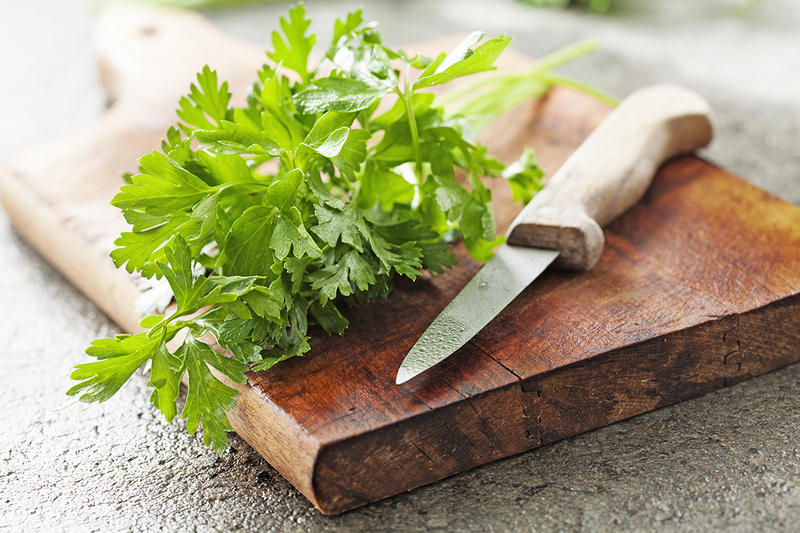 Used in many Mediterranean and Asian dishes, cilantro (coriander) contains one of the highest levels of vitamin K, which is important for healthy bones, as well as vitamin C and A for eye health and repairing the gut. This herb is known to have antibacterial properties. This is one of those herbs where people either love or hate its distinctive flavour. How to use Cilantro? It is good in soups, juices, fish dishes, vegetables and many Asian and Mexican dishes. This herb has a fresh, cleansing flavour and possess gut-soothing, antibacterial and anti microbial properties. Helping ease indigestion, stomach pain, and bloating. How to use Mint? Drink it as a tea infusing in drinking water, or use with lamb, fish, soups, and salads. Try using mint in your drinks in this Thai Mango Mint Water Infusion Recipe. A pungent aromatic herb that stimulates the nervous system, creating alertness and concentrations; too much, however, may cause anxiety. It increases blood flow to the heart, head, and brain, and its anti-inflammatory properties help people with asthma and breathing difficulties. How to use Rosemary Leaves? Use with fish as well as meats and as flavouring for water and dressings. As well as being delicately flavoured, the flowers provide an intense array of antiseptic, anti-allergic and anti-fungal compounds. How to use Rosemary Flowers? Use in salads or herbal teas or as a garnish for topping soups.